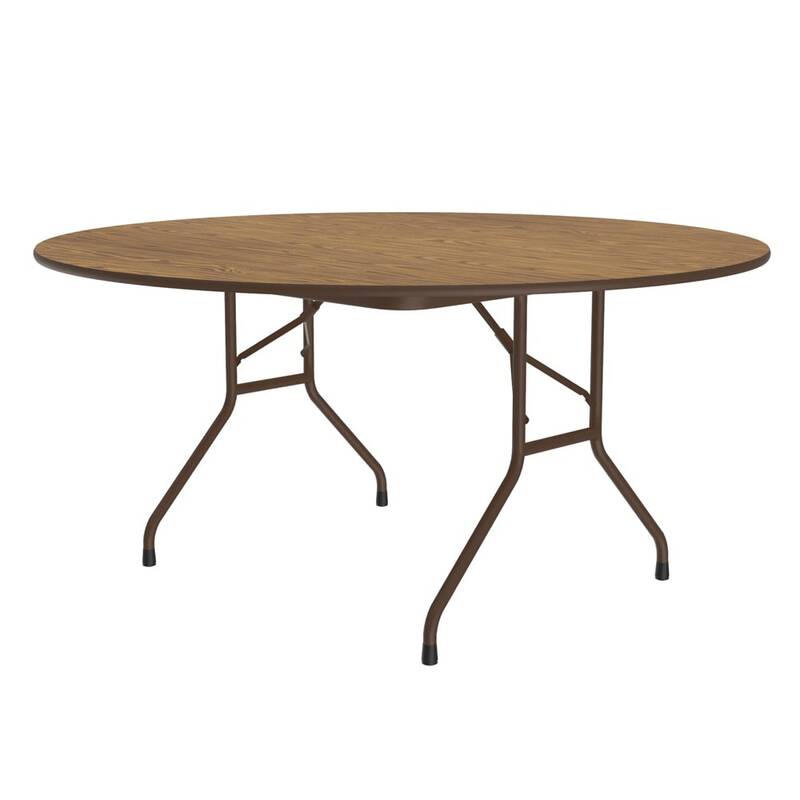 Solid Plywood Core Folding Table for heaviest duty home, office, school, church, rental, food service and commercial use. 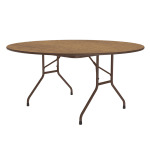 Stronger and lighter than particle board core tables. This table has 3/4" thick plywood core with .080" premium high-pressure top and masonite backer sheet. 7/8" total top thickness, 1" 18ga. steel pedestal legs and 1 5/8" one-piece steel apron, mar-proof plastic foot caps and edge molding, automatic lock open mechanism. 60" round, 29-in height. Medium oak top, brown frame and brown t-mold.